Short on cash? Check out these free things to do! From surf beaches like Neilson's, to the calm-family friendly waters of The Basin, to a kite-surfers haven at Elliott Heads, there is a beach to suit everyone... + it's free! 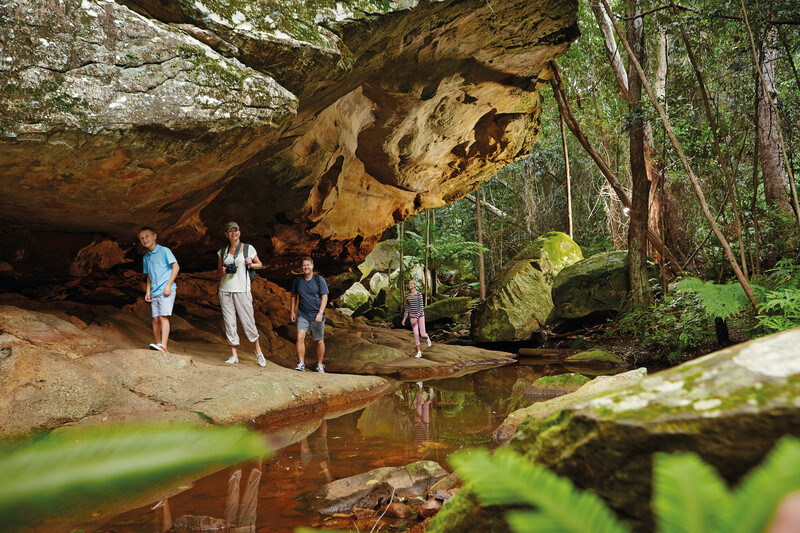 Explore the sandstone wilderness of Cania Gorge National Park or take the sunrise hike to the summit of Mt Walsh National Park. Head over to the award-winning gin distillery, Kalki Moon Distilling and Brewing Company, for a FREE tour and tasting of all their illustrious gins, vodkas and liquors. Take a drive to the top of The Hummock, an extinct volcano, for panoramic view of Bargara and the coral coast. Take in the patchwork of farming lands and an expansive view of the ocean. Get your Friday night sorted with a visit to Riverfeast. Riverfeast a hotspot for locals and visitors alike to enjoy the view of the Burnett River and grab a bite to eat. Whilst the food isn't free, the company, atmosphere and location are! Take in the art at the Bundaberg Regional Art Gallery and Childers Art Space with ever-changing exhibitions featuring local and visiting artists. Have you spotted some of our massive murals around town? Make sure you snap a selfie and #visitbundaberg when you're out and about. One of the most serene spots in our slice of paradise, Woodgate Beach offers 16km of pristine, protected beach and the friendly personality to match. Spend the day strolling the esplanade and swimming in the warm waters. While some hot chips might set you back a few dollars, a chat with the friendly locals is always on the house. The North Burnett is the place to get your boat wet. After the rains Cania Dam offers stunning scenery and a glass-smooth waters and Paradise Dam is a year-round hotspot for skiing and tubing fanatics. Let some air out of your tyres and hit the road less travelled. There are many 4WD tracks around the region but Burrum Coast National Park, surrounding Woodgate Beach, offers an interesting bush-to-beach option. Stroll along the river at Riverside Parklands, make your way into the main street taking in the friendly atmosphere and architecturally exquisite buildings, take a coastal walk from Elliott Heads to Bundaberg Port Marina and stop for gelato or coffee on the way.